Queen of Katwe is the colourful true story of a young girl selling corn on the streets of rural Uganda whose world rapidly changes when she is introduced to the game of chess, and, as a result of the support she receives from her family and community, is instilled with the confidence and determination she needs to pursue her dream of becoming an international chess champion. Directed by Mira Nair from a screenplay by William Wheeler based on the book by Tim Crothers. For 10-year-old Phiona Mutesi and her family, life in the impoverished slum of Katwe in Kampala, Uganda, is a constant struggle. Her mother, Harriet, is fiercely determined to take care of her family and works tirelessly selling vegetables in the market to make sure her children are fed and have a roof over their heads. When Phiona meets Robert Katende, a soccer player turned missionary who teaches local children chess, she is captivated. Chess requires a good deal of concentration, strategic thinking and risk taking, all skills which are applicable in everyday life, and Katende hopes to empower youth with the game. 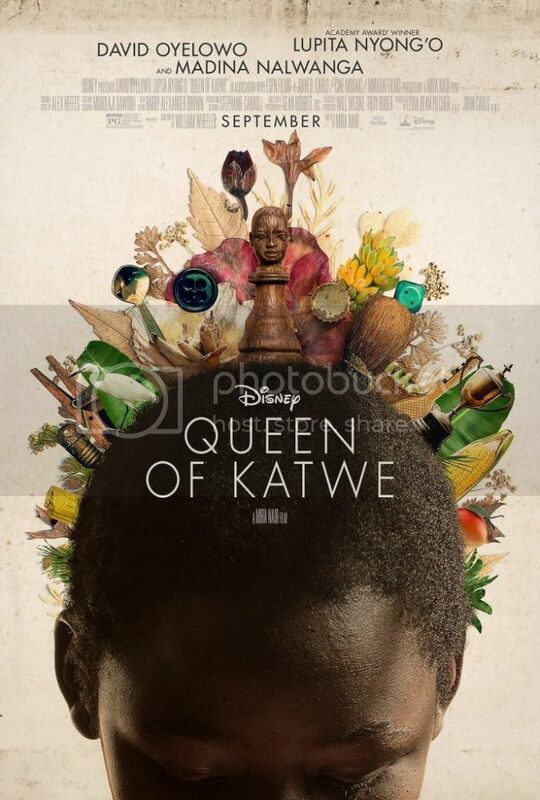 Disney’s "Queen of Katwe" will open in theatres on September 23, 2016 (limited), and on September 30, 2016 (wide). We have very short time giveaway. Enter to win one family pass to see inspiring Queen of Katwe in Toronto on September 21. The giveaway is open to Canadian residents who can attend the select screening and ends on Monday, September 19, 2016.